Hosted at the ExCeL in London’s Royal Victoria Dock from 15-17 February, the new KATANA – which is an evolution of the 1980s icon – will take centre stage. 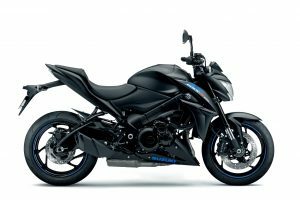 Set to arrive in the UK in the spring, the KATANA is heavily influenced by the original but is based around a thoroughly modern chassis and engine package. It also gets a three-mode traction control system, low-RPM assist, and Suzuki’s easy-start function. 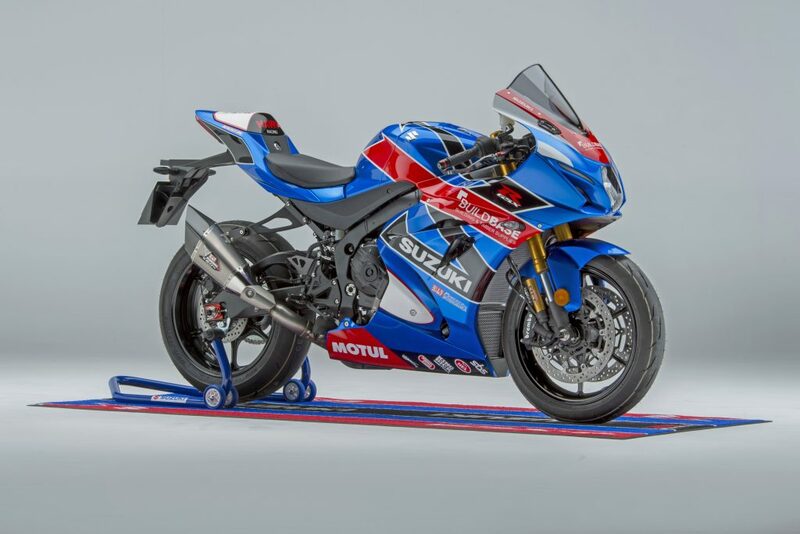 Also catching the eyes of visitors will be a Buildbase Suzuki GSX-R1000R race replica, with the limited edition machine – one of only 50 produced – coming with an assortment of Yoshimura components and Suzuki Genuine accessories, including engine case savers, brake and clutch lever guards, paddock stand bobbins, double bubble screen, pillion seat cowl, tank protector and fuel cap trim, plus a Yoshimura R11 exhaust and mirror blanks ready for track use. In addition, customers will also receive an Ogio kit bag, paddock stand, bike cover and GSX-R garage mat. 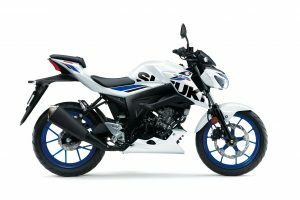 From Suzuki’s adventure range will be the V-Strom 650XT, which is currently available with a complimentary top box, while the Japanese brand’s street bike range will be represented by the SV650 and GSX-S1000, plus the learner-friendly GSX-S125 which is currently available on Suzuki’s 2,3,4 campaign, which allows customers to choose the term and APR to match their agreement. Also on display from Suzuki’s small capacity lineup will be the GSX-R125, which is available on the same offer. 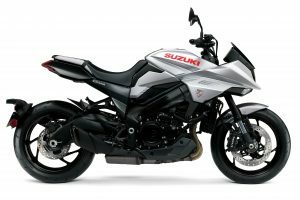 Suzuki’s scooter range is represented by the Burgman 400 maxi-scooter and Address – which is currently available with low-rate 3% APR over three years with a minimum £300 deposit. The RM-Z450, which won the 2018 British Motocross Championship and is the reigning Arenacross title-winning machine, will be displayed alongside the new KingQuad 750 ATV to showcase Suzuki’s off-road range. 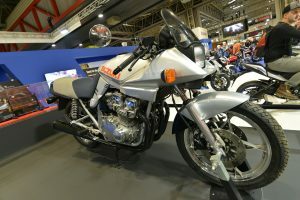 On the classic front, Suzuki is also bringing along the original Bandit 600 – which was restored to showroom condition by Suzuki apprentices at the marque’s state of the art training centre in Doncaster – as well as Kevin Schwantz’s 1989 Pepsi Suzuki RGV500, a nod to the firm’s heritage and industry-leading Vintage Parts Programme. 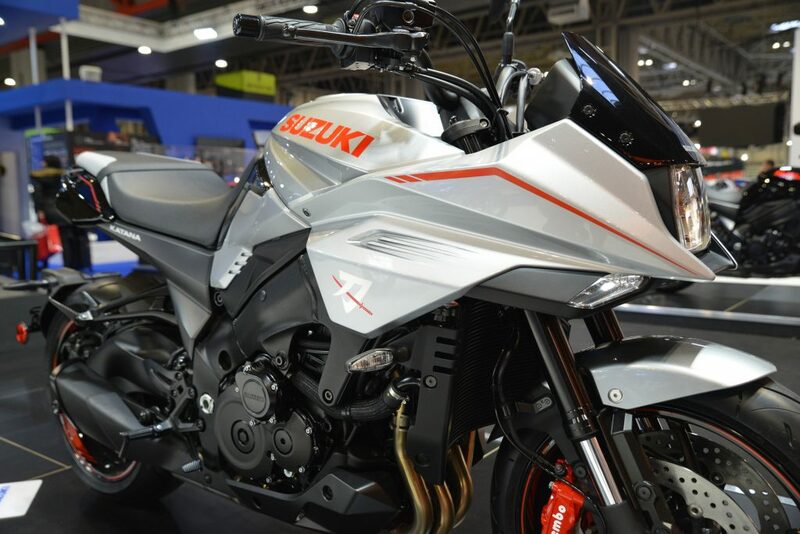 Suzuki can be found on stand M30 where visitors can find out more about Suzuki’s latest offers. For more information on the Suzuki range and details on its current offers, click here. 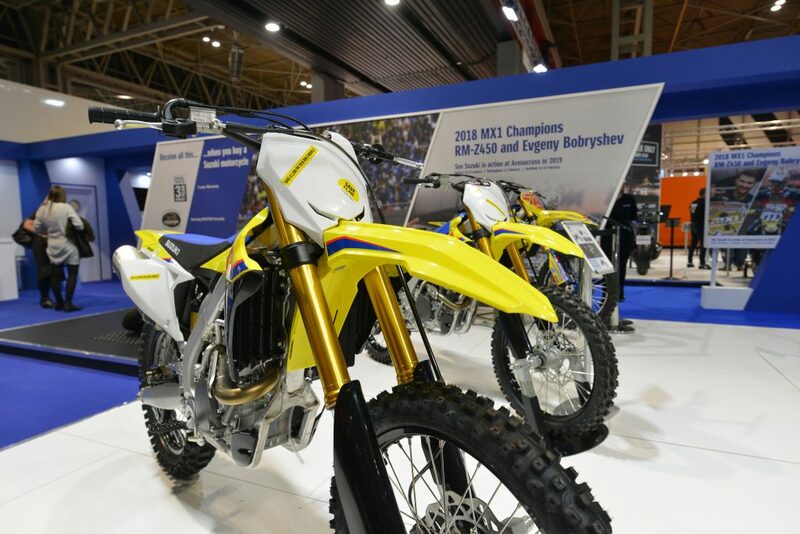 For show and ticket information click here.